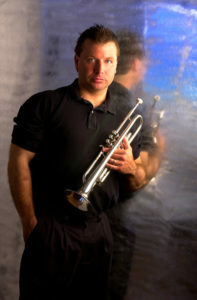 Mark Zauss is internationally recognized as a trumpet soloist, clinician and recording artist. He is a full time lead trumpet player with the flagship band called the Main Street Philharmonic at Walt Disney World’s Magic Kingdom. He also performs over 100 events annually with his own bands. 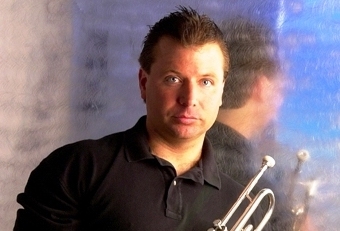 Mark began his playing career at age 16 and has over 30 years experience as a professional trumpet player. He performs and gives clinical seminars throughout the continental United States and worldwide. Mark has performed in concert with Arturo Sandoval, Branford Marsalis, Pat Metheny, Marcus Roberts, Marcus Printup, Louie Belson, James Moody, Frankie Valli, and many others. His experience as a performer combined with his formal training as a psychotherapist gives him a unique perspective as an educator. As a musician, Mark performs a wildly diverse spectrum of musical styles including: be-bop, straight ahead jazz, big band, Dixieland, commercial and studio lead trumpet. His professionalism and good nature enable him to reach across boundaries to effectively educate and inspire others. Mark also helps others overcome stage fright and performance anxiety.